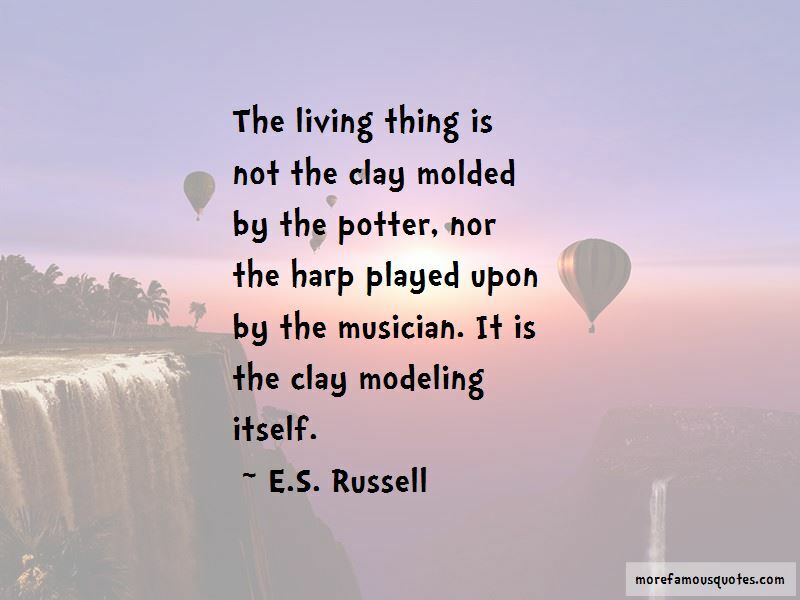 Enjoy the top 2 famous quotes, sayings and quotations by E.S. Russell. 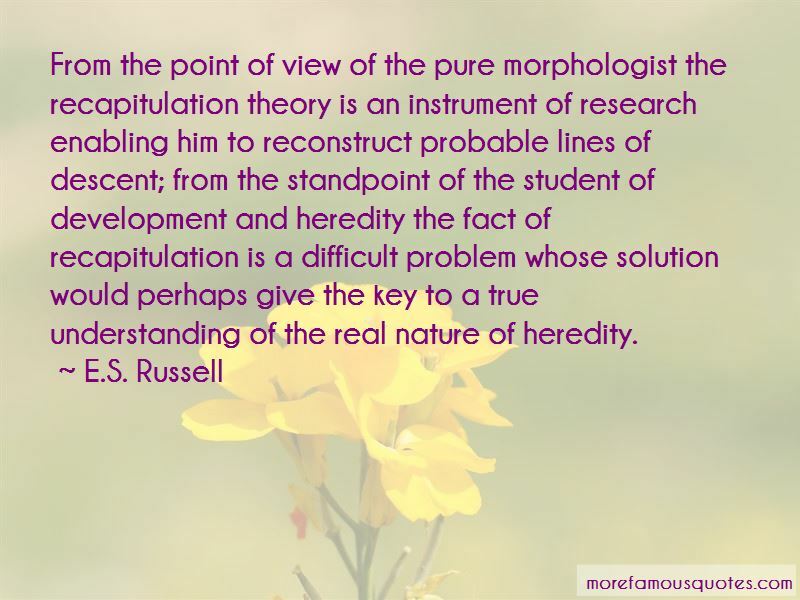 From the point of view of the pure morphologist the recapitulation theory is an instrument of research enabling him to reconstruct probable lines of descent; from the standpoint of the student of development and heredity the fact of recapitulation is a difficult problem whose solution would perhaps give the key to a true understanding of the real nature of heredity. Want to see more pictures of E.S. Russell quotes? Click on image of E.S. Russell quotes to view full size.